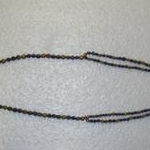 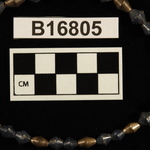 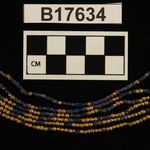 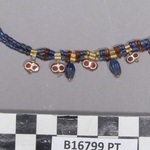 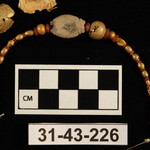 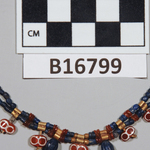 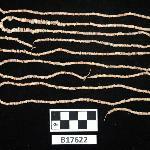 CBS Register: necklace. 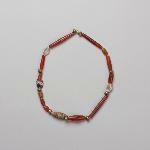 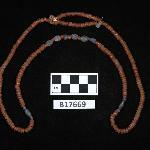 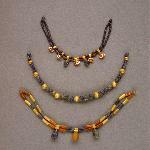 2 strings of small lapis, carnelian beads. 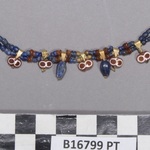 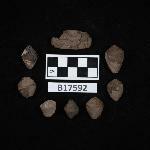 2 lapis (with sketch), 5 carnellian (wiht sketch) with painted white circles.